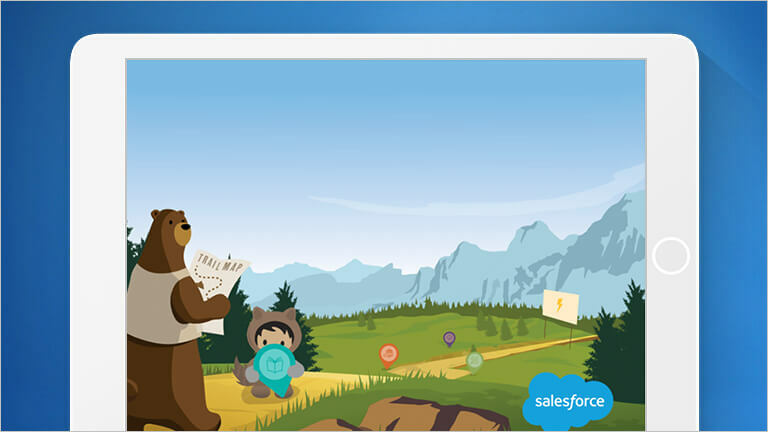 The next level of faster, simpler CRM is here: Salesforce Lightning. See how Lightning takes productivity into new territory. Push productivity higher, build apps faster, and work smarter with Lightning. Anyone can learn how on Trailhead. Use the Lightning Framework to create apps fast at lower cost with clicks, not code. Use Lightning Developer Services to quickly spin up apps for any and all use cases, as you easily reuse code across components — without breaking your customizations. The Lightning Experience makes everyone more productive in every moment with a new and fast user experience. Give every role and department the apps they need to be more effective, while using IT resources to innovate on new apps, faster. A smarter, faster workday awaits. Get the fully customizable Lightning experience. 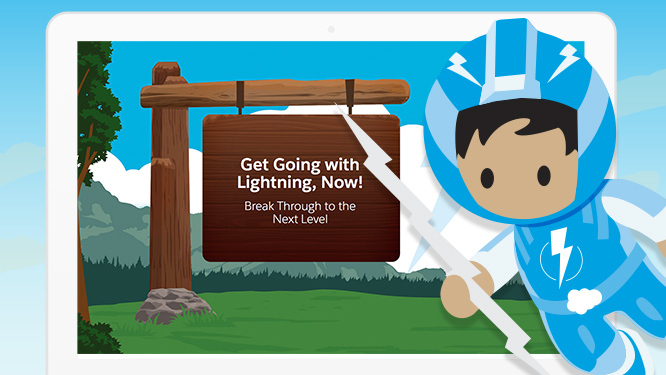 The power to make Salesforce your own is now in your hands with myLightning. Customize and brand Salesforce your way with myLightning. Craft an experience that truly belongs to your business. Add colors, themes, and branding elements with simple clicks, and even personalize content and pages for any user. 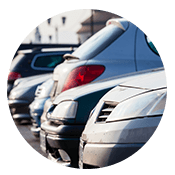 Put your sales process on the Lightning autobahn. Selling fast comes naturally on Lightning. Show reps how to manage pipelines and projects in just a few clicks. Lead them to focus on what’s next with Sales Path. Dial up the speed of calls with Lightning Dialer. Get a quick look at the new features in action. Or explore them on Trailhead. 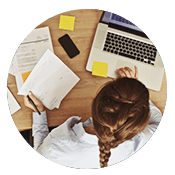 Build amazing apps with epic ROI. Spin up apps for anything, fast, with easy-to-reuse code across components. Set new app development speed records, without breaking customizations. Perfect your CRM. Customize with apps, components, and your can-do spirit. Get 300+ components and 500+ apps to extend CRM for everyone. Install in minutes. Customize with clicks for your unique business needs. Meet Salesforce Einstein — everyone’s personal data scientist. Get AI on your side. 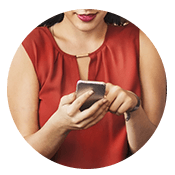 Focus on the best leads first with Lead Scoring, uncover the winning sales move with Opportunity Insights, and skip the data entry using Activity Capture. Meet the Trailblazers already succeeding with Lightning. See what users are saying about taking Salesforce to the next level. Jumpstart your Lightning journey. Tap into these resources. Learn more about what Lightning is and how it fuels epic productivity improvements. Get started with this series now. Today, you need all the best tools to help you work faster, smarter, and the way you want. In this e-book, learn how Lightning helps you deliver the best experience on the worlds #1 CRM. Achieving greatness isn’t always easy, but having friends to help you get there is critical. That’s why we put this together: a step-by-step guide to helping your company soar to new heights. Get the answers to the most-asked questions about Lightning. I'm on Classic for the time being. Is that okay? Yes, Salesforce will continue to support Classic, but the list of only-in-Lightning features grows longer with every release. Sales Path, Assistant, Kanban, and Einstein Lead Scoring are just the start. See the full Lightning Roadmap PDF. No, it’s just a better way to use Salesforce. To more quickly gain all the productivity benefits, plan your move to Lightning. Visit the Lightning resources page now. What is the Lightning Experience vs the Lightning Framework? The Lightning Experience is a more productive, modern way for everyone to work. 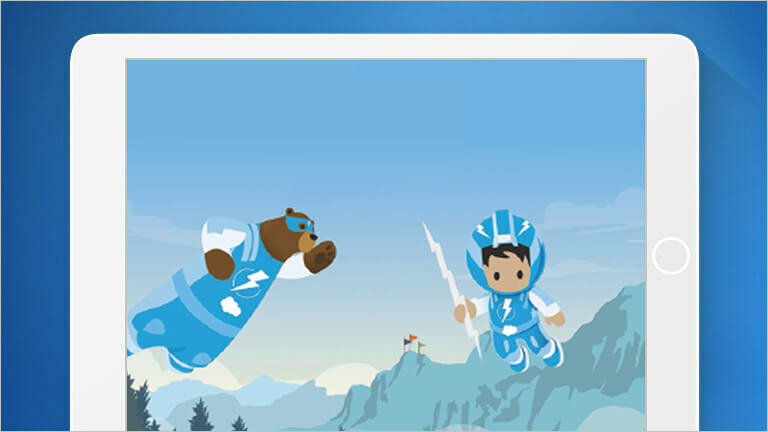 The Lightning Framework is an environment that radically speeds up how you customize Salesforce and build new apps. Learn more on the admin page. Is there a Lightning community where I can ask more questions? Yes, there is, full of admins and devs. You can meet experts, ask questions, and get answers from an entire community of people ready to help. Visit the Salesforce Success Community, now. Leading companies are blazing new trails with Lightning. Join them. Step into the future. Visit our Trailhead learning platform and run our Lightning technical assessment to check your readiness.